The M1-Pro is magnificent in its own right—a laptop stand carved out of a block of aluminum. But we like the M1-Pro anthropomorphizes the MacBook Pro into a strange, four-legged bug. 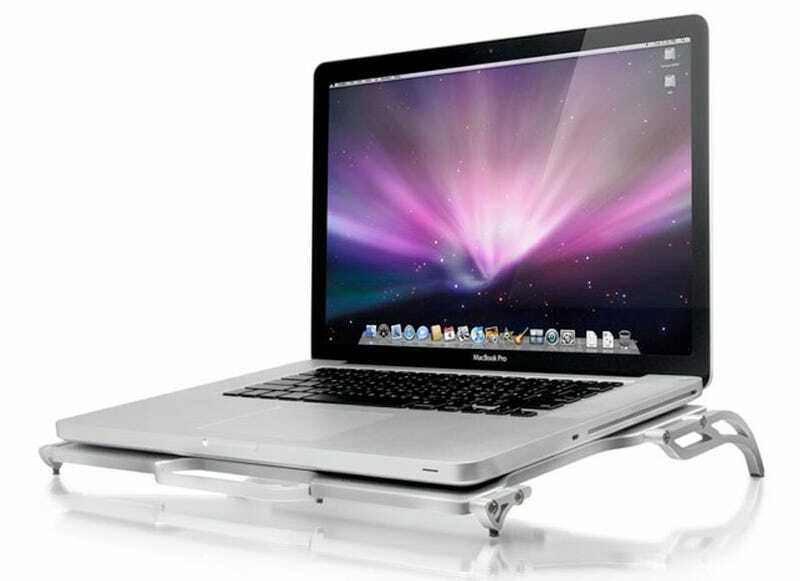 Aside from the four-legged creature's brushed aluminum good looks, the stand also features a dual heat-pipe design meant to draw heat from the MBP and into itself, fulfilling the functional purpose of the M1-Pro: To act as a gigantic heat sink. The M1-Pro's price is available upon request. We're assuming that means you'd better have deep pockets and really love your laptop. A lot.